If you are looking for a way to get exposure online and you have not yet set up social media accounts for your business, then you are overlooking an important part of online marketing. Of course, simply having an account on Facebook, Twitter, Pinterest, LinkedIn, etc. is not enough. You need to strategically use them to your advantage. But sometimes, it can be difficult to determine how to get the most from your social media accounts. 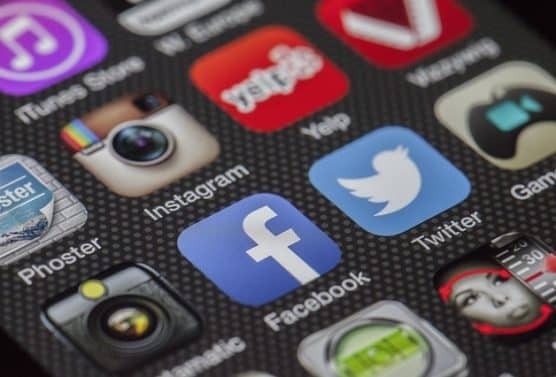 If you are an infrequent user of social media, then it is important to understand how each social media platform works and what their strengths & weaknesses are and what audiences they cater towards. While there are several key social platforms, the two most well-known are Facebook and Twitter, so we will focus on those for this post. Stay turned for our next post where we will explore other popular platforms. Up to 140 characters are allowed per post, or “tweet,” but the best tweets are no more than 110 characters. Twitter’s audience is –for the most part – those under 40. It also aligns well with hollywood and political circles. Twitter users are looking for what is happening NOW. To be effective on Twitter, post multiple times a day. Ideally several times per day, a minimum of 5 days a week. To determine the best time to post to Twitter, check out Twitter Analytics and select Tweets. The spikes are shown under impressions, and will tell you all you need to know about optimal time based on your audience. While Facebook can have longer posts, the best performing ones are less than 100 characters and have an engaging related picture or video. The average Facebook user is in the 50+ age demographic, although there are certainly users in the lower age brackets as well. Facebook users often see the platform as a way to communicate with friends/family. Use the Facebook Lookalike Audience tool to help you determine who your target audience should be. By creating ads you can have as much as a 30% higher conversion rate. Don’t just post links to your blog (though that can be helpful). Rather, ask open ended questions to get followers engaged and create opportunities for engagement, or responses to your posts. The best time to post on Facebook is between 12 – 3 pm. You can do this using scheduling tools like Hootsuite or Postfity, or through Facebook itself. Think about what you want to accomplish. Determine who is your audience and what do you want them to know and how you want them to respond. Be authentic. Having a tough/busy/exciting day at work? Share it. Be sure to include a pic! Build relationships by interacting with those who comment. Use eye catching images — ideally, you should provide images whenever possible, especially images of on-site events. Come up with #Hashtags specific to your company, and use them in each post as well as on any signage or printed materials in your company. The idea is to make it easy for people to find you. But check to make sure it’s not a hashtag already in use by someone else! Have blogs on your website that have titles that catch attention when viewed in one’s social media feed. Track growth. There tools one can pay for, or just use the metrics on the platforms as those are a great place to start. Thoughtfully respond to questions and comments as they relate to your industry. Don’t be afraid to ask for reviews or feedback. Keep your profile on the various platforms fresh and up to date. These are but a few tips for developing a social media presence on Facebook and Twitter. As with anything, social media is always changing and it is important to pay attention to updates and new tools available for use. You can do this on your own, or talk to one of the Page Progressive social media specialists about managing your social media accounts for you.